A broody hen is one of the most dedicated and determined birds in the world. These hens possess an extremely strong maternal character and they will keep sitting on their eggs for weeks at a time. Broody hens are known to refuse even eating and drinking when they are sitting on their nests. If you have broody hens in your farm, you should consider looking after them to keep them safe and healthy. By looking after the broody hen, you can make sure that the clutch of eggs it is sitting on will turn into healthy chicks. Consider moving all the other chickens to a separate coop. 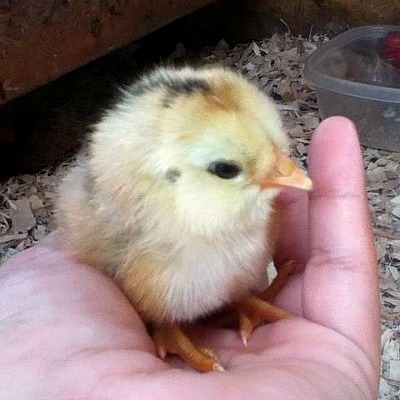 Broody hens are known to attack other chickens that get too close to their eggs. Therefore it is extremely important to keep other chickens away from their territory. It is vital to get rid of a fight before it starts as it can help keep all the animals safe and healthy. Keep the rooster in with the broody hen if you are looking to raise a clutch of chicks. It is recommended to arrange a nesting box for your broody hens. You should find a quiet and peaceful area to place the box. Consider placing fresh straw at the bottom of the box to secure the eggs when the hen sits on them. Take a small eating bowl and fill it with chick starter and put it right in front of the nesting box. Chick Starter is an excellent diet for hens as it is high in proteins and vitamins. Brooding hens should consume high amount of proteins and vitamins to produce healthy and strong eggs. Put some water in another bowl and put it on the other side. Drinking water is as important as protein consumption for brooding hens. By placing the two bowls close to the nesting box, you can make sure the hens do not have to go far for drinking and eating purposes. Keep checking your broody hen for any signs of illness and egg binding. Egg binding can prove to be deadly. If your hen is struggling to pass the egg, consider contacting the veterinarian as soon as possible. Always remove any unfertilised eggs from the nesting box. Hold the egg between the fingers and locate the developing fetus inside the fertilised egg using a bright flashlight.